We planned our holiday trip to Orlando, checked the weather forecast and packed accordingly. When an unexpected cold front pushed through, we needed warmer clothes and headed to the nearby outlet for sweaters and hoodies. Our best find, an adorable raincoat at Gymboree, was clearance priced for 80% savings. With the high cost of theme park tickets and souvenirs, shopping for name name-brand items at bargain prices in Orlando can be very satisfying. We got particularly lucky finding that jacket on sale, but you don’t need luck to save big when outlet shopping in Orlando. 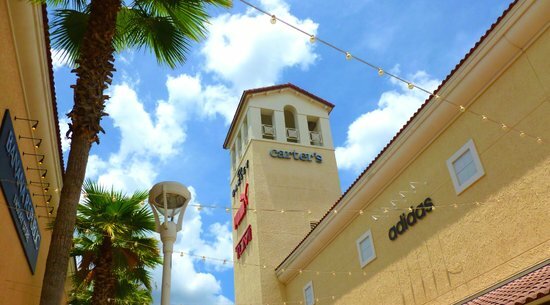 On any given day, you’re pretty much guaranteed to save 25-65% at most Orlando outlet malls. 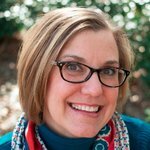 During end-of-season sales or post-holiday sales, you can save even more. Sign up for VIP savings before you travel to get email alerts on private sales and better bargains. 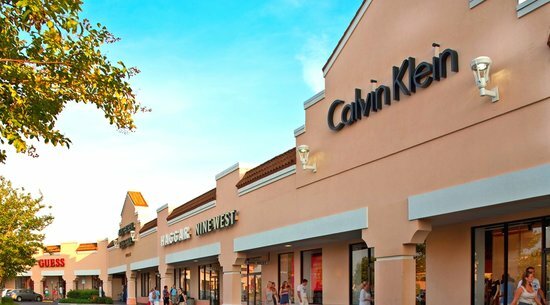 Orlando Premium Outlets at Vineland has earned the TripAdvisor certificate of excellence. With 160 shops and restaurants, everyone is sure to find a great deal. 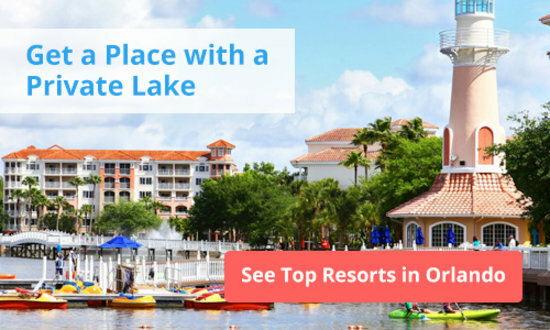 Just minutes from the Walt Disney World parks and resorts, Disney-goers can escape the summer heat with an afternoon of Orlando outlet shopping or head here after a day at the parks to enjoy dinner and bargain hunting. Stop by the business office to pick up a VIP savings booklet. The Disney Character Warehouse near the food court is an official outlet featuring Disney merchandise at tremendous discounts, a great way to save on souvenirs. Shop for great savings on designer labels like BCBG Max Azria, Coach, Cole Haan, Michael Kors, and Thomas Pink. Neiman Marcus Last Call and Saks Fifth Avenue Off 5th have great savings as well. This Orlando outlet mall offers VIP savings for email subscribers and a special online discount. It’s open from Monday to Saturday until 11 pm, and on Sunday until 9 pm, so there’s no need to skip the parks for a shopping day. Food courts, shaded seating outdoors, and valet parking make the whole experience relaxing and enjoyable. Located across the street from Orlando Premium Outlets I-Drive, this mall is in the heart of the city’s tourist district. A smaller Orlando Outlet mall, with 40 stores offering savings on clothing, shoes, accessories and gift items, families with limited shopping time will appreciate its manageable size. Anchor stores include Calvin Klein, American Eagle, Nine West Outlet, Reebok, and Skechers. Guests staying in resorts along I-Drive can leave the car at the hotel and take the I-Ride Trolley instead; the mall is at Trolley Stop #3. 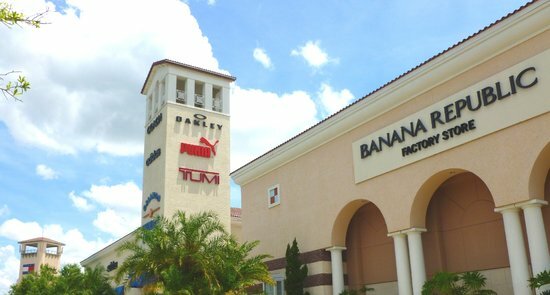 Just 10 minutes from Disney World, Lake Buena Vista Factory Stores offers 50 stores selling factory-direct, premium-quality merchandise from nationally-known brands like Tommy Hilfiger, Calvin Klein, Nike, Gap, Ann Taylor, and Guess. 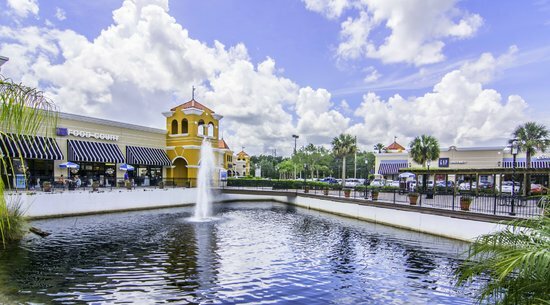 The mall is the exclusive home of several retailers in Central Florida, including the Old Navy Outlet, Big Dogs, Rawlings Factory Store and Eddie Bauer Outlet. The mall just announced plans to expand by more than 100,000 square feet by 2016, to bring in more stores for value-minded customers. 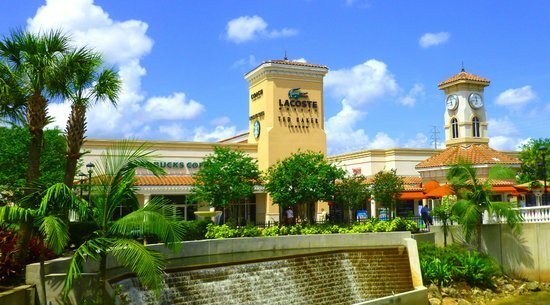 Mall amenities include convenient store-front parking, free shuttles to 66 Orlando and Kissimmee area resorts, an internet café and a number of restaurants. To save more, download a coupon for a free savings booklet valued at up to $400.